With its old school charm, beautiful neoclassical architecture, and pretty parks, Munich is the perfect place for a romantic break. From cocktails and dancing to naked sunbathing, step off the tourist track, put down the beer and do something a bit different with our suggestions to make your time together in Munich extra special. Smaller than its famous cousin the English Garden, you’ll find this park in the southwest of the city, about 10 minutes on the U-Bahn from Marienplatz. Often overlooked by tourists, it’s the perfect spot for strolling hand-in-hand around the lake. 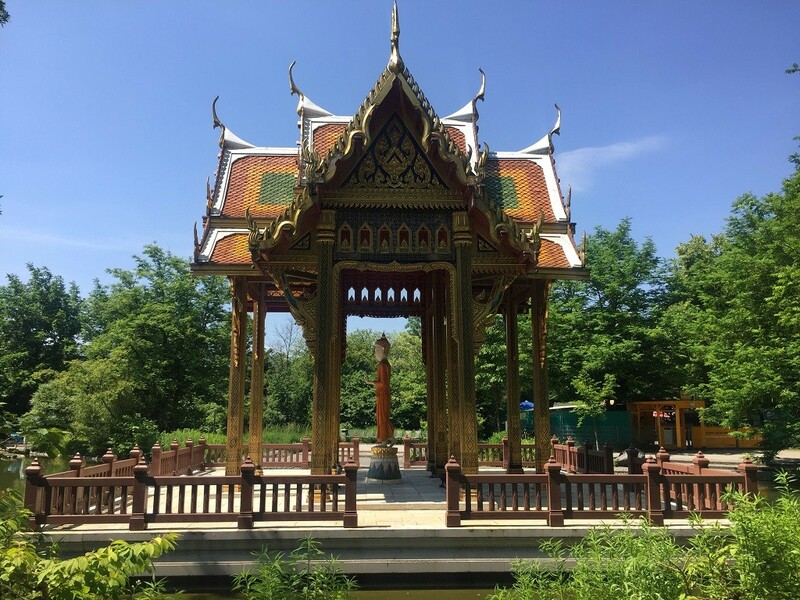 Tucked away in this picturesque park you’ll find a Japanese garden, a Thai temple, and even an outdoor cinema in summer. Pop to a local bakery then buy some steckerlfisch from the little stall near the beer garden to create a delicious impromptu picnic. Preßburger Str. 19, 81377 München, Germany. The latest craze for dining in the dark has hit Munich too with the opening of Zum Blinden Engel. All dinners arrive for a 7pm start and are led into the pitch-black dining room by one of the “angels” – blind or visually-impaired waiters that help guide guests around the space. There’s a set menu for €49.60 without drinks, and you can choose meat, fish, vegetarian, or surprise! The whole evening lasts around 2.5–3 hours, and you’ll find Zum Blinden Engel in the Wirtshaus zum Isartal. Brudermühlstraße 2, 81371 München, Germany, +49 89 74688556. Think you have the same taste? 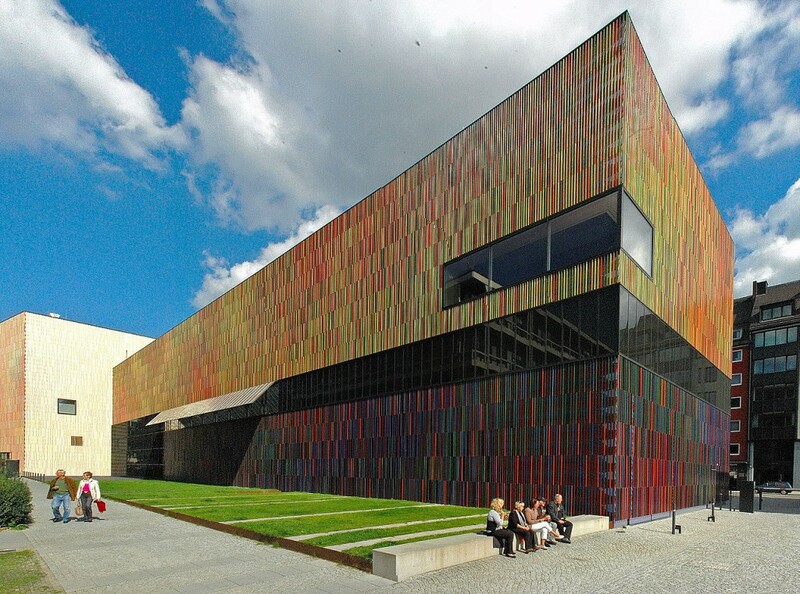 You’re spoilt for choice with the many different museums in Munich, particularly for modern art. To see contemporary classics by Damien Hirst, Joseph Beuys, and Andy Warhol, including his “Marilyn” portrait, head to Museum Brandhorst. This distinctive building opened its doors in 2009. Rather than packing the hyper modern gallery full of exhibits, the museum has wide open rooms with vast white walls. Make the most of €1 entry on Sundays, and avoid Mondays when the Brandhorst is closed. Theresienstraße 35a, 80333 München, Germany. Germans are not afraid to bare all. In fact, Munich has six “designated urban naked zones”! You might think these would be tucked away somewhere or fenced off, but no – take the wrong turn in the English garden and you’ll find yourself seeing a whole lot more of Germany. If you can’t beat them… join them! There aren’t many cities in the world where you can go au naturel. You’ll find the other naked zones along the Isar River. Like the thought of being serenaded by a world-class pianist while sipping cocktails? Head to Pusser’s which claims to have introduced Munich to classic American cocktail bar culture when it opened in 1974. 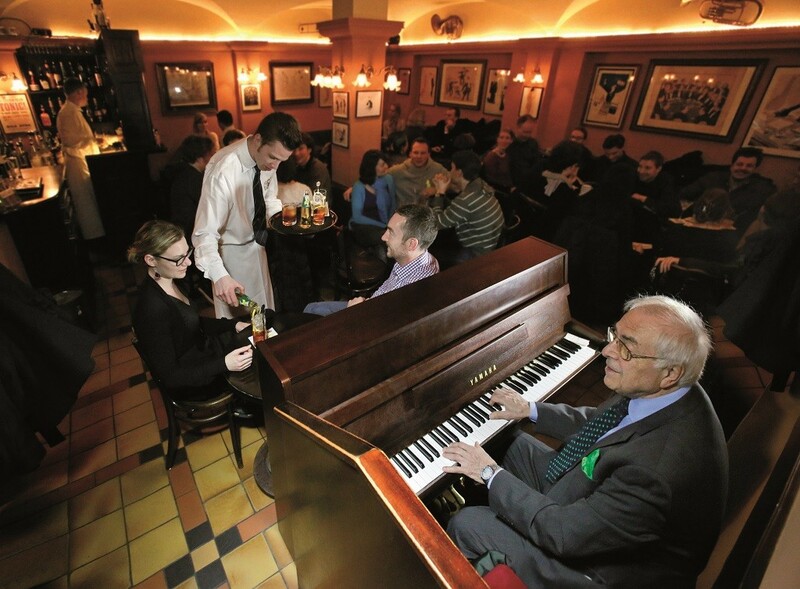 Downstairs you’ll find gifted pianists tickling the ivories every Thursday to Saturday from 9pm – you’ll need a reservation! The best part? These guys are so passionate about cocktails that they trademarked their own PUSSER’S PAINKILLER™. As tasty as it is strong, you might not remember the evening, but you’ll have a great time. Falkenturmstraße 9, 80331 Munich, Germany, +49 89 22 05 00. See how in sync you are with a night on the dancefloor! In the creative quarter around Ostbahnhof you’ll find live-music-lovers’ haven, Nachtkantine. Formerly the staff cantine for Pfanni — a major Munich manufacturer of all manner of potato-related product, they now host several dance-themed nights such as salsa and swing with live music to match. Even if you don’t want to get up on the dancefloor yourself, watching others Charleston, Lindy Hop, or tango the night away is great entertainment. Grafinger Str. 6, 81671, Munich, Germany, +49 8944 45 10 84. If you have more than a couple of days in the city, make like a Münchner and spend the afternoon relaxing together by a lake. 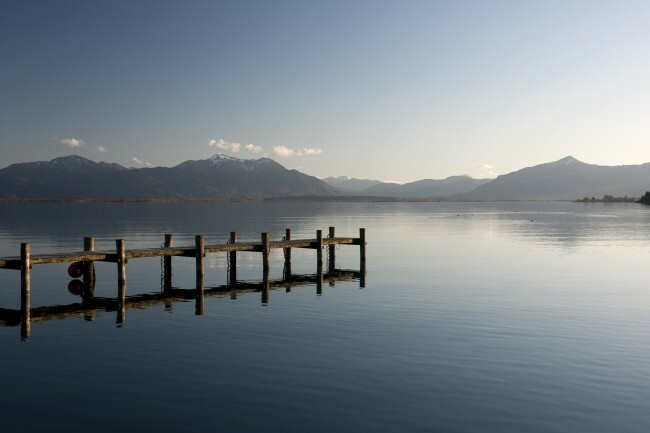 Just 36 minutes on the S-Bahn from Marienplatz will take you to Lake Starnberg – Germany’s fifth largest freshwater lake! Only 25 km from the centre, it feels like another world. Starnberg even gets a mention in T. S. Elliot’s poem, The Waste Land. If you’re not inspired to pen a poem, stroll around the lakeside, sunbathe and admire the view. Bahnhofpl. 5B, 82319 Starnberg, Germany.